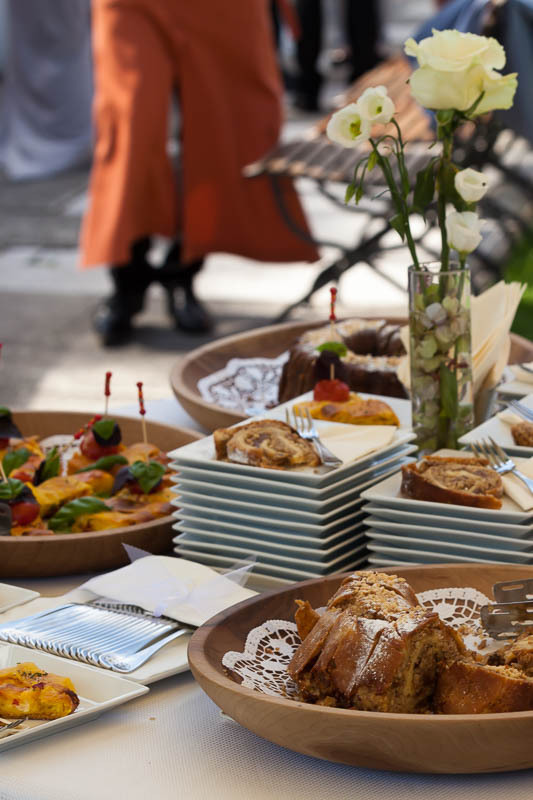 Tasty wedding food in a good location is a must-have for your romantic wedding. There are numerous options where you can have your wedding reception. Based on your preferences and the number of your guests, we will endeavour to find the best one. The amount of food provided will depend on the number of guests, your preferences regarding catering, the theme you will choose and many other things. You may even want only a discrete dinner just for the two of you. 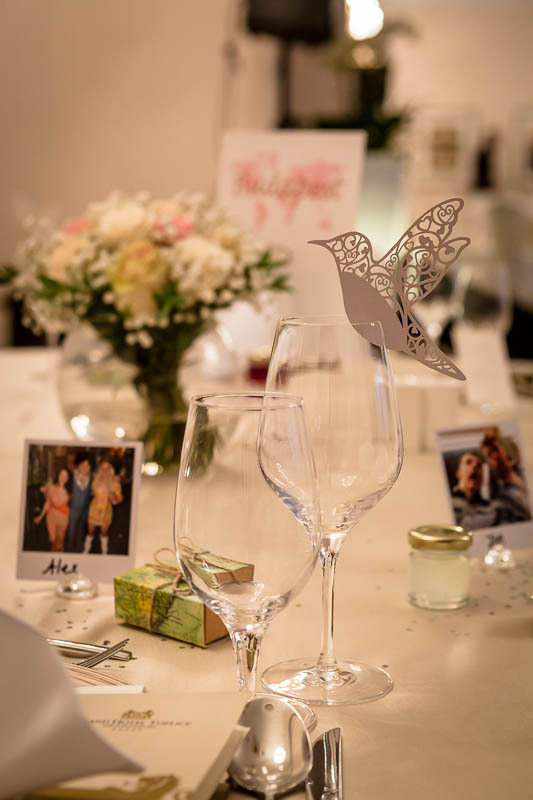 We will be pleased to help you plan and realise your day to the last detail. You may want to have a quiet dinner or a mega music party for more than 100 guests. Whether it be in natural surroundings or in a hotel, with a grand or small catering service, you will be presented with local specialities along with delicate refreshments and selected wines from Slovenia’s well-established wineries. Naturally, we will discuss your choices with you and offer you the best and most suitable to match your preferences. Don’t hesitate to invite families with young children to your wedding. We will look after them and make sure they enjoy the day as well. You cannot imagine a dream wedding ceremony without tasty and carefully selected refreshments, which will introduce you to local specialities. This offers you and your guests a new experience which you will remember long after the wedding. Slovenia is full of special treats that can cater to any desire and will add a special dimension to your visit to Slovenia. We have the best wines in the region, two most exquisite beer brands and the finest local specialities, ranging from meat dishes to fish. There is also a wide variety of vegetarian food available. In any case, we are certain you will leave Slovenia impressed by what it has to offer and you will want to recommend the food and our special drinks to others.